Get ready to experience Fallout 3 again - for the first time. Ties that bind introduces a new companion: your sister. It features over 700 lines of professionally written & voiced dialogue, enhancing and expanding upon the vanilla Fallout 3 experience. I am a writer and a designer - not a programmer or artist. There are definitely areas within these fields where the mod could be improved, but as those who followed the Contributor Content know, this mod has already taken entirely too much time. In the spirit of what modding is all about, feel free to make use of this mod, so long as credit is given where due. Contact me directly if you create an update or translation that you think should be hosted directly on this page as an optional file. Note that you may NOT re-release "your version" of my mod, but only separate mods that modify properties of mine, with the understanding that the player must already have my mod installed. 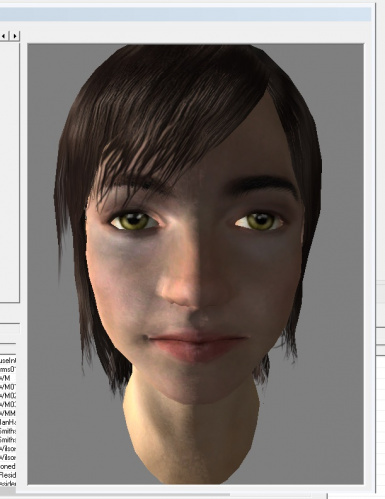 BLACKARTmods, who modeled Amanda's likeness after the real life Amanda Jane Herries. Loxy, whose Jessi Companion helped me understand some scripting issues throughout and saved me the hassle of typing out a couple as well. YoshikinaKota for Amanda's hair, from Hair Pack. 1.01 update is live, which is mainly bug fixes, including an item that was overtly left at its use-point for debug purposes and should have been removed. Also added optional alternate appearance by Crudeowl - it's the same 1.01 ESP but w/ the different face, so just replace your main ESP. From the creator of The Institute, Ties that Bind is a companion mod beyond any other. In addition to adding its own content, it significantly enhances and expands upon the original game experience by introducing Amanda: your sister. 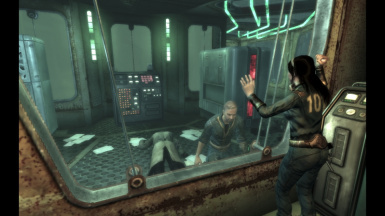 The mod was inspired by Liam Neeson's emotionally evocative portrayal of the player's father, and aims to build on this experience through a character who voices many of the natural responses the player has to the game's events. The tie between the player and Amanda will eventually grow even stronger than that with the father, as she is always with him/her through thick and thin, until the bitter end where her survival will rest in the player's hands. Thank you all for helping to make this a File of the Month winner, and one of the most endorsed companion mods out there! Ties that Bind features over 700 lines of dialogue, written by the same talent behind The Institute, and professionally voiced by actress Amanda Jane Herries. It promises a compelling story that adds to and enhances the original Fallout 3 narrative; including cutscenes, dynamic experience, and choices with genuine consequence. It is HIGHLY recommended that you start a brand new game for your experience with this mod. 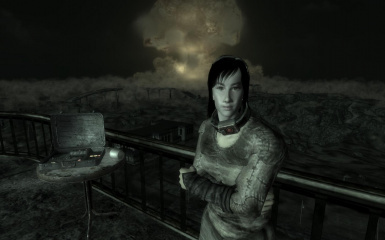 Amanda is with you right from birth and most of the mod's content is directly tied to the game's main events, so if you add Ties that Bind after you've completed half of the main quests, you're going to miss out on all that content. 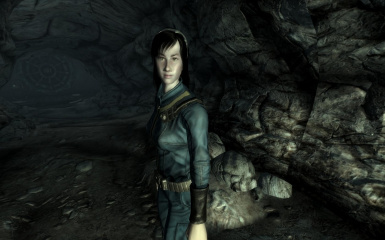 If you DO start this mod with a character who has already escaped Vault101, you will find Amanda at Paradise Falls. Without spoiling anything, bear in mind that most of Amanda's content is TIED to the events of the vanilla quests - so if you have her wait somewhere or become separated and you go on with the main story, you will potentially be missing story beats with her. Most importantly, do not leave Vault101 without Amanda. I know all mods say this, but it is VERY IMPORTANT that you place the ESP file at the bottom of your load order - this mod shouldn't interfere with other mods in any meaningful way, but they can certainly interfere with it.